The PASMA course is about making sure you have the right skills & knowledge in place to both erect and dismantle Aluminium Scaffold Towers. 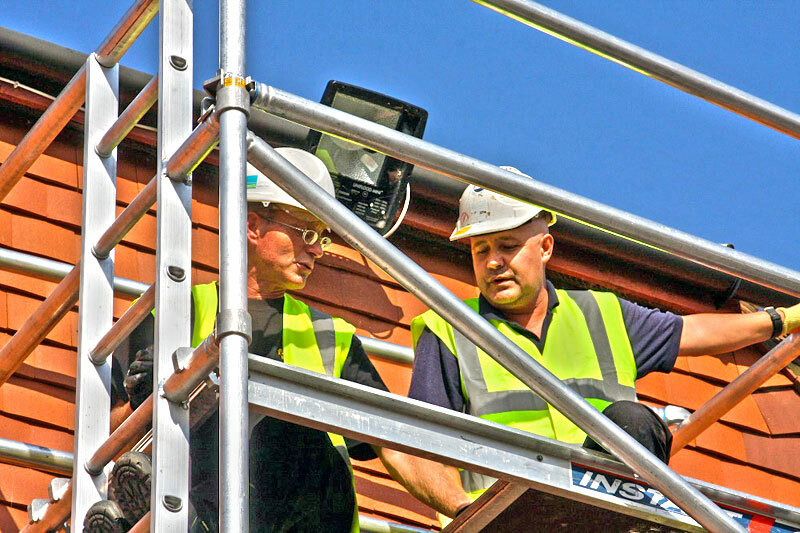 The Prefabricated Access Suppliers & Manufacturers Association (PASMA) course is for you if you are a supervisor, manager or operative who works with Alloy Scaffold Towers on construction sites or in other work-based industrial uses. PASMA courses are about making sure you qualify for the PASMA Card, which is widely recognised throughout a wide range of industries and of course the HSE (Health & Safety Executive). Holders of the PASMA card are considered as having proved their competence in their ability to safely erect, inspect and dismantle Aluminium Scaffold Towers. It is important to hold a PASMA card as many large contractors and employers will not allow staff to work in and around towers unless they have a valid PASMA card. The official PASMA code of practice. The course is delivered by a mix of theory & practical sessions and at the end of the course, delegates have to take an assessment paper to pass the course. PASMA courses last around 6 hours and you can attend a course at one of our 30+ specialist PASMA training venues situated around the UK. PASMA courses can also be run at your location of choice if you have suitable facilities that include an indoor area with 6 meters of height clearance. For more details please call 0800 130 3225. PASMA courses cost £120.00+VAT per person and discounts are available for those who need to book multiple candidates on a course. Included in the cost is the PASMA Photo ID card & certificate which are valid for 5 years and we will handle the card application process for you ensuring that your card is sent to your home address. Each course delegate also receives a course content notes book and a copy of the current PASMA code of practice booklet. To be eligible to attend this course you must have a good understanding of written and spoken English and you must be able to attend the course with your own PPE, (Personal Protective Equipment). To find out about your nearest PASMA course or to book this course please call us on 0800 130 3225 or request a call-back.